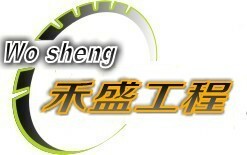 Wo Shing Construction Bank was established in 2009, is a speed with the momentum of the company. RC cutting, drilling, road cutting, anchorage, chemical anchor bolt, wire saw cutting, renovation of the,underwater engineering,old house and other related work has many years of professional experience, coupled with a sophisticated team, so that you account for the work of the most Good quality fastest speed finish. The company is responsible for construction. Quality and construction progress satisfied with the package.